Chicken thighs tend to get shoved in a corner and for no good reason at all. They are total gems of the chicken world, in my opinion. They don’t dry out like white meat. They are tender, full of juice, totally affordable and so quick to cook. Just a few of the many reasons this dish is a favorite of mine. 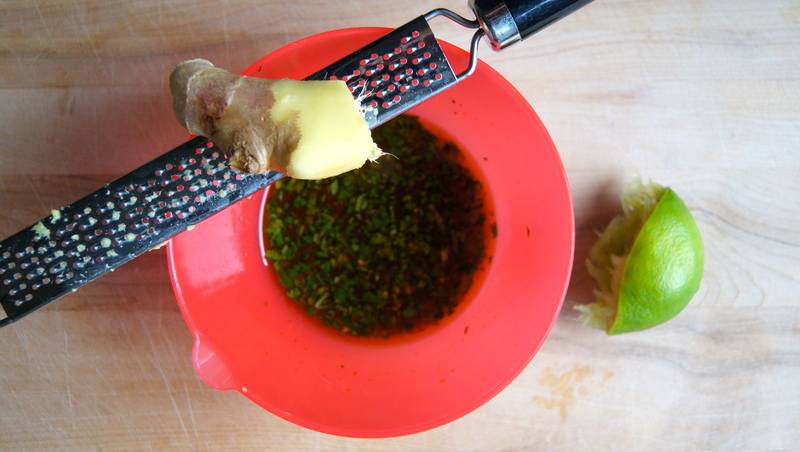 The marinade is devourable by itself. But throw it on chicken thighs for a quick sear on the grill and you’ve got a bright, fresh, caramelized, sticky flavor that could stand up to any dark-meat hater. We love to serve this one with roasted green beans and Baked Coconut Brown Rice. An excellent, comforting-yet-light, summer meal! In a small bowl whisk together the Tamari, fish sauce, honey, lime juice, olive oil, sesame oil, ginger, cilantro, garlic and red pepper flakes until combined. 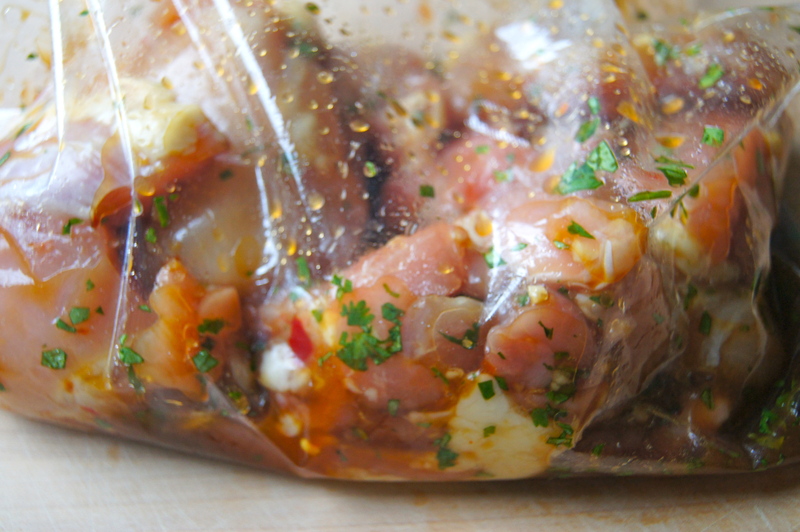 Place chicken in a resealable bag, pour the marinade over the chicken, let all air out and seal shut. 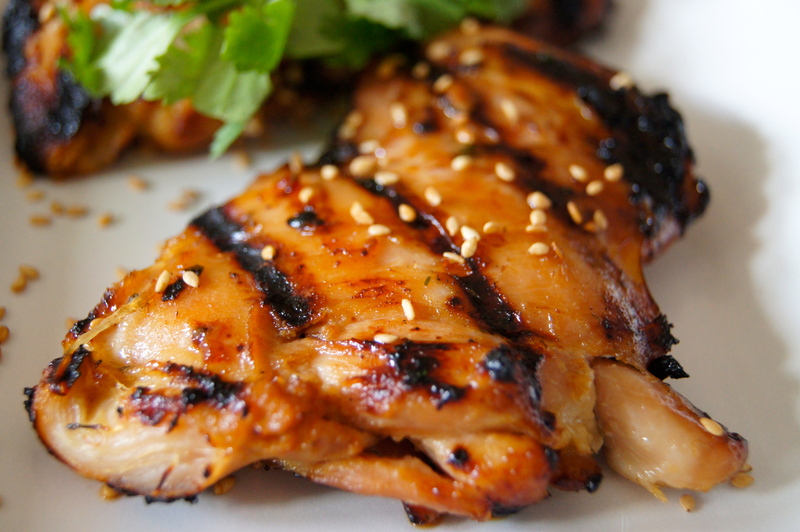 Rub the chicken around in the marinade until it is well coated all over. Place in the refrigerator to marinate for 2-6 hours. Preheat grill to medium high heat. Place chicken on the grill and cook for 10 minutes, flipping once in between cooking, or until chicken is thoroughly cooked thru. 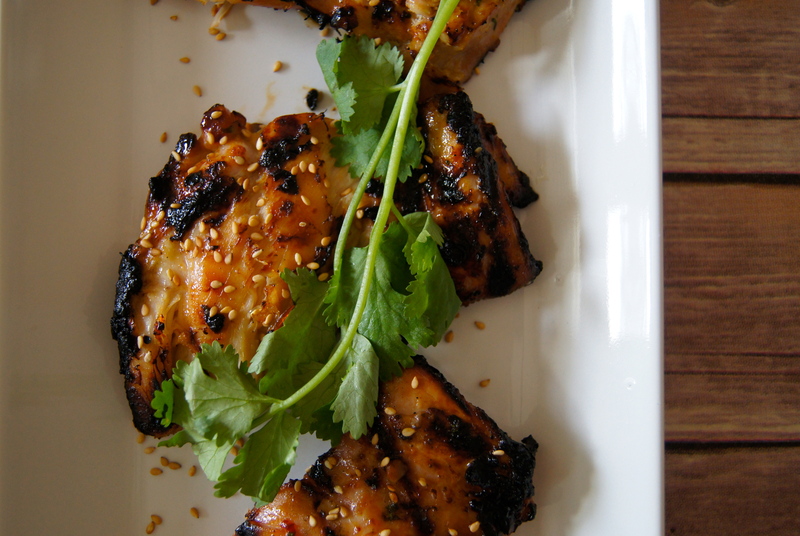 Serve topped with toasted sesame seeds and cilantro leaves. Serves 4-6. Well done! Looks delicious! I use boneless thighs in my Lebanese baked chicken and rice. So juicy and tender.